Does your furniture need a revamp? Learn how to paint furniture like a pro with these expert tips for a professional-looking finish. First, remove any knobs and handles and lightly sand the furniture with medium coarse paper. This will help the paint grip. Wipe with a damp cloth and leave to dry. 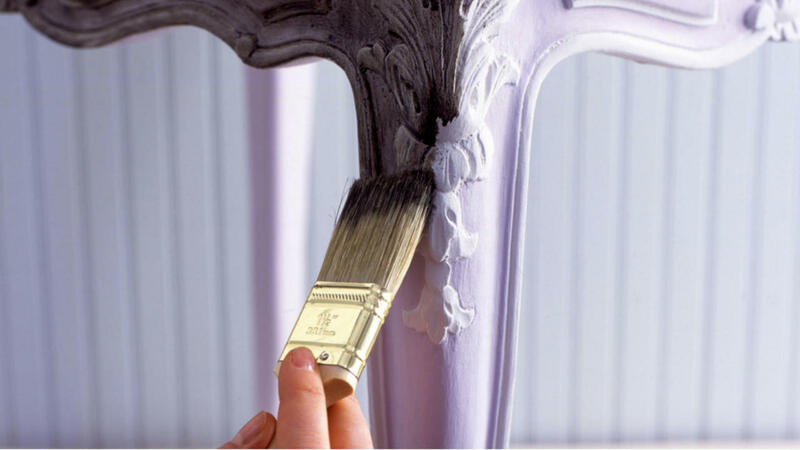 Paint the bare furniture with a wood or multi-surface primer (use a multi-surface if you’re painting over old paint). Leave to dry and then lightly sand with a fine grade paper. Wipe to remove dust. Onto the exciting part. Choose your paint Dulux has a range of gloss and satin finishes available. Remember, the glossier the finish, the easier it will be to keep clean. To prevent brush marks, use a good quality brush (3-inch will suit most jobs) or a small roller. Use a 1-inch brush for the fiddly bits. You’ll need 2-3 coats to ensure an even coverage. Once the paint is dry, sand lightly, clean away the dust with a damp cloth and marvel at your handiwork.